The quick and easy way to give natural fibre fabrics, yarns, and even paper, an aged and antique look is to try natural dyeing with tea and coffee. 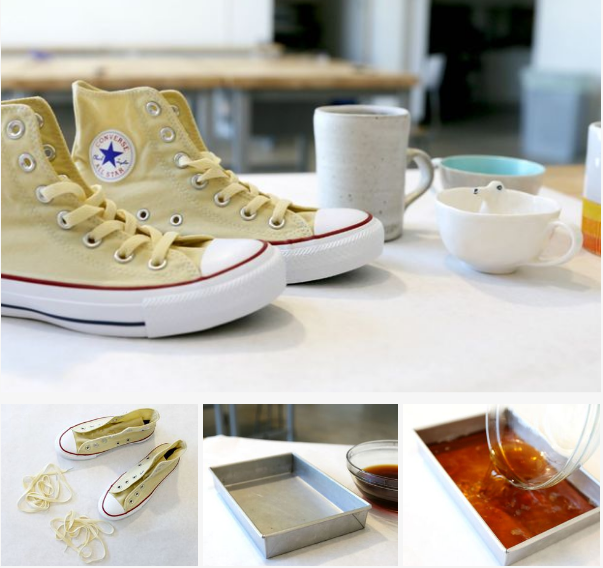 This low cost, all natural technique creates warm tonal results to help purposefully take the shine off of new, bright whites. *Size and shape will depend on the size/shape of the item to be dyed. You want there to be enough depth to completely cover the item, but not excessive space otherwise you'll waste coffee and tea bags filling it up. If you're planning on dyeing a fabric item, wash it in cold water with a bit of laundry detergent and baking soda. This will remove any additive finish that's been applied to the fabric, making it easier for the dye to penetrate the fibres, and will make for a more even dye job when wet. If you're planning on dyeing paper, just wet it to prep it for dyeing. 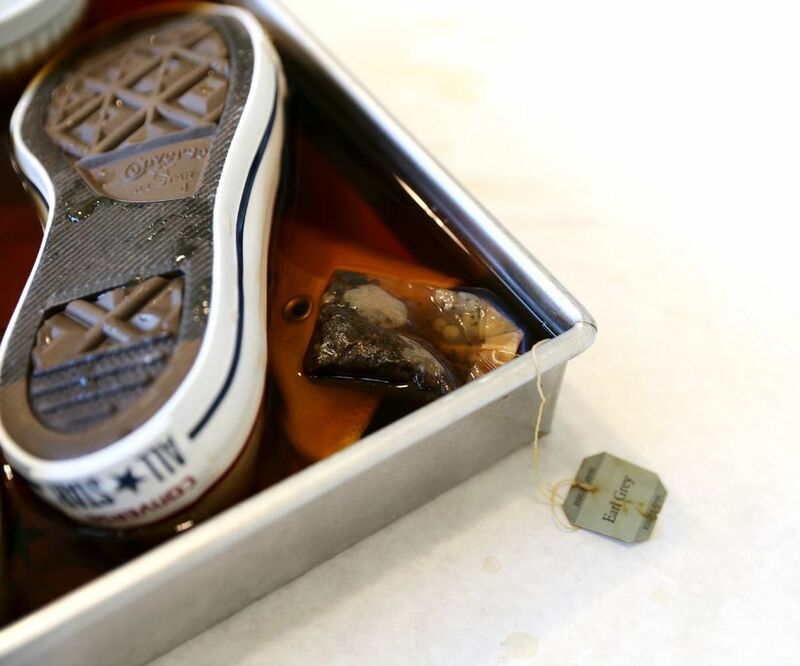 ONLY DO THIS right before you're ready to dip it into the coffee or tea dye bath. 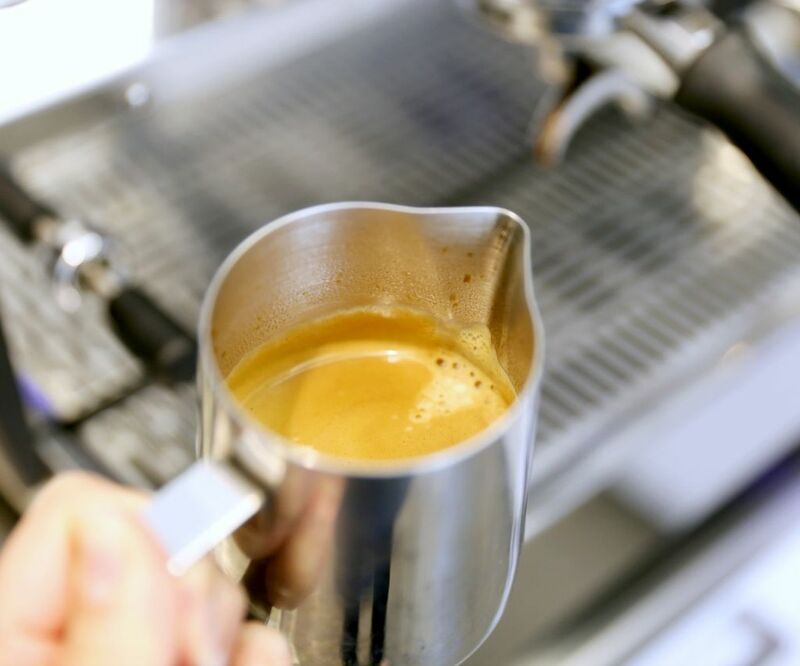 Prepare either a small concentrated amount espresso or a larger, less concentrated amount of drip or French press coffee. NOTE:The stronger and less diluted the coffee, the darker the dye job will be. 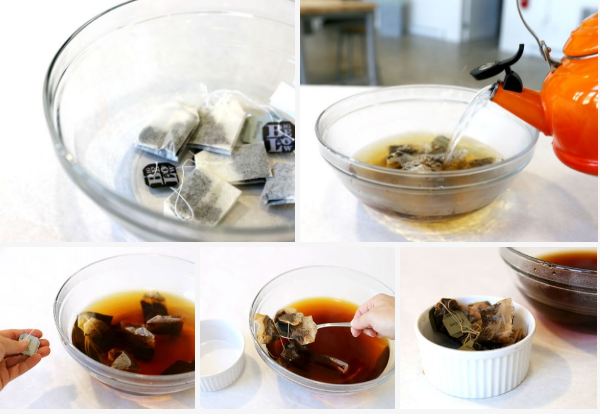 To prep your tea dye bath, place 6-10 black tea bags in a large bowl and cover in boiling water. The longer you leave the bags in, the darker the dye bath will be. For an even dye job, remove the tea bags. For a more mottled look, leave the tea bags in the bath. 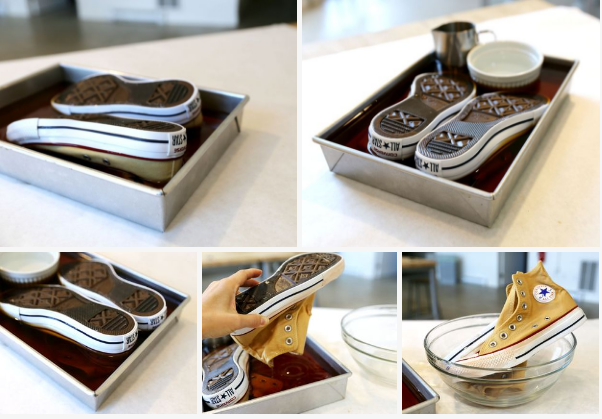 Ok, pour the tea or coffee into a dye bath container that will comfortably fit your item(s) to be dyed. If you're dyeing fabric or yarn, add 1/2 tsp of salt to help set the dye and give it a good stir. I wanted to start with a light tea dyeing and then stamp with the coffee, so it was tea first for me. Submerge your wet item completely into the dye bath. If you mess up like I did with your choice of container have no fear. Just either add more tea or coffee solution to the container, or if you don't have extra handy, just place a few heavy non-dyeable items into the spaces around your item(s) to displace the water and raise the liquid level. If you're dyeing fabric, leave it in the bath for at least 1 hour. The longer you leave it, the darker it will become. Remember: The item you're dyeing will appear much darker than how it will turn out when you first pull it out of the bath. To test how dark the dye job really is, rinse the item under cold water to remove the excess coffee or tea. If you want it darker than it is after the test, place it back in the dye bath and leave it for another length of time. When you've reached your optimum 'aged' look, remove the items from the bath and let air dry. If you're dyeing paper, fully submerge your piece in the dye bath and let sit for no longer than 10 seconds. Remove and hang to dry. 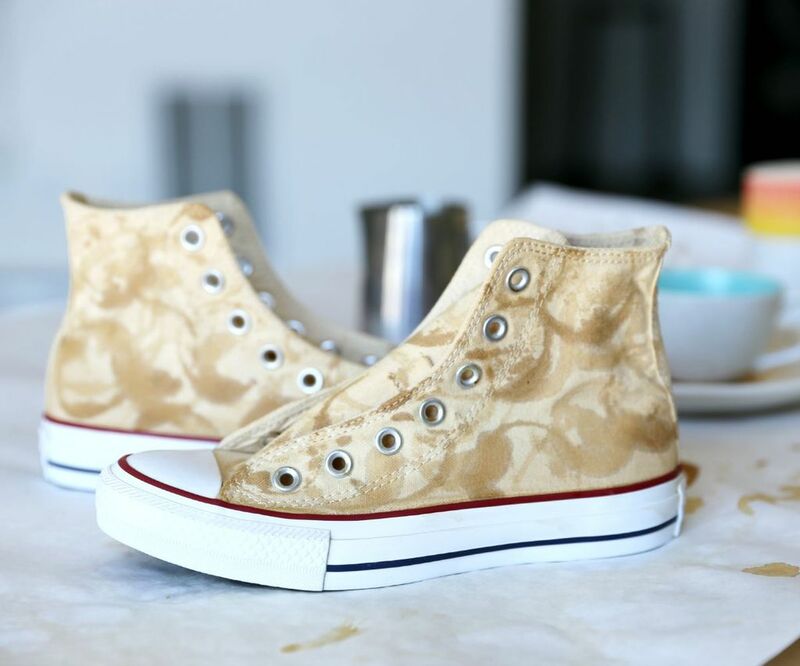 I wanted to use the bottoms of some of my favourite cups made by local California ceramicists to stamp a pattern on the shoes. To do this, I added a little bit of salt to a double espresso shot and poured a bit of coffee out onto a small plate as a makeshift stamp pad. I did a test stamp on a piece of scrap paper and then just went to town creating the pattern I wanted using different cups. 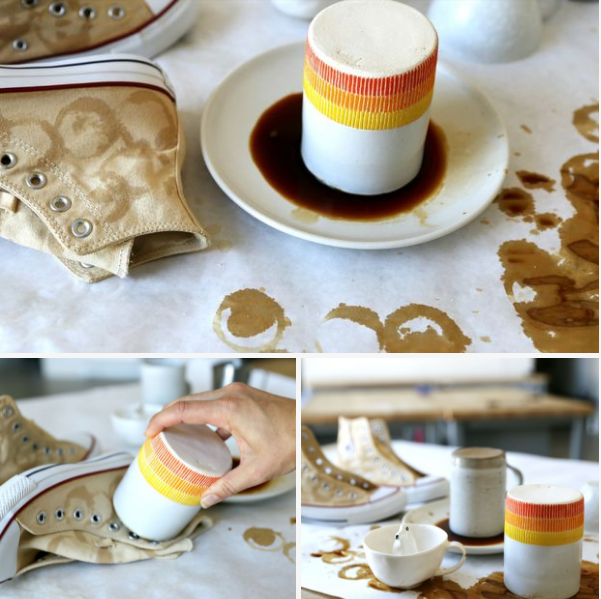 If you're ageing a piece of paper, putting coffee in a small spray bottle and spraying the edges and a few random squirts in the middle will help add more 'aged' dimension. 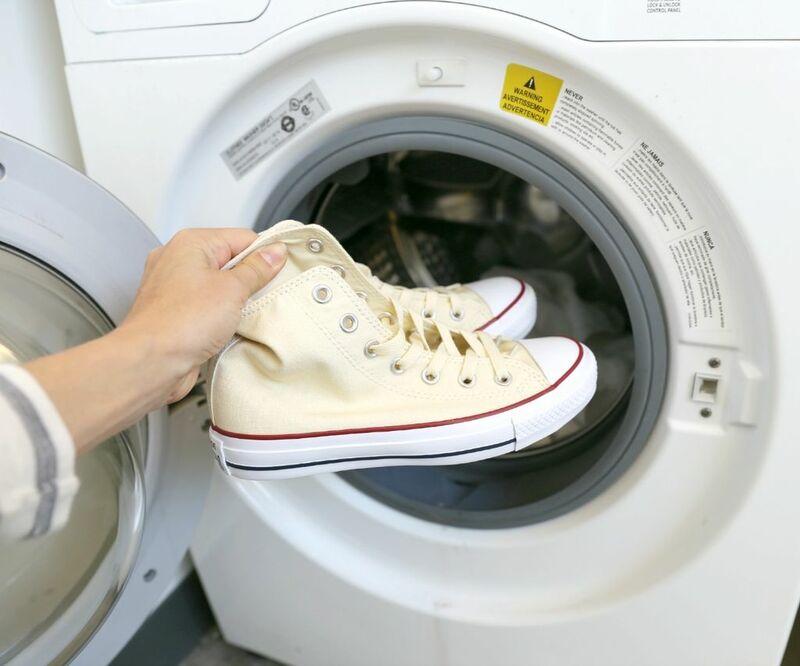 If you've dyed a piece of fabric or yarn that will be worn, wash the item(s) in cold water with a very mild laundry detergent and hang to dry before wearing, sewing, or knitting. READ THIS NEXT: Natural flavoured water using fruit and other fresh ingredients!